I’m dreaming of summer. Clear blue skies and sunshiny days filled with the abundance of fresh strawberries and other brightly colored fruits and vegetables. So I decided to make something that might just bring the feeling of spring a little closer. Coconut was never on the top of my favorites list but my man’s love for it inspired me to try it in so many new ways! Cook with it, bake with it, toss it in here and toss it in there, and now you might call me a huge fan! I love to toast it in bubbly butter until its golden brown and garnish my desserts. Start by preheating your oven to 375 degrees. 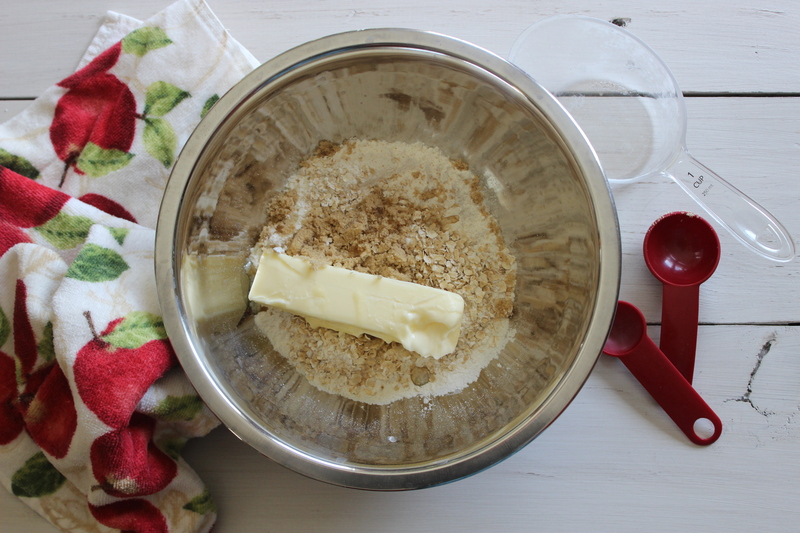 In a medium size mixing bowl, mix the flour, brown sugar, oats, salt, and butter. Toss with fork until the mixture is crumbly. Using fork, press mixture into the bottom of a greased, round 10 in. pan. Bake for 10-12 min. or until lightly browned. While the crust is baking, in small saucepan mix sugar and cornstarch for the glaze. Add lemon and orange juices. Over medium heat, cook until thick, stirring constantly. Remove from heat and cool. 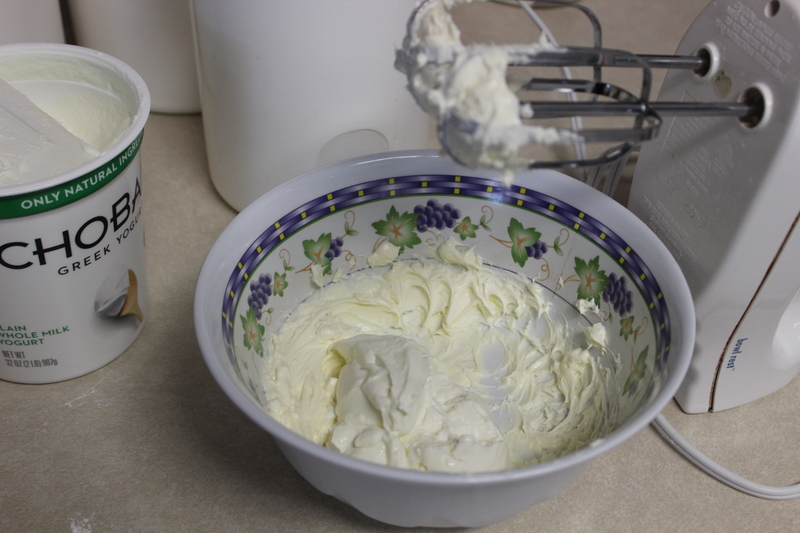 In small mixing bowl, cream the cream cheese until smooth. Add the powdered sugar, greek yogurt, dash of salt, and lemon juice. Mix until creamy. Spread onto cooled crust. Wash, slice, and arrange your fruit in an orderly (or not so orderly!) fashion. 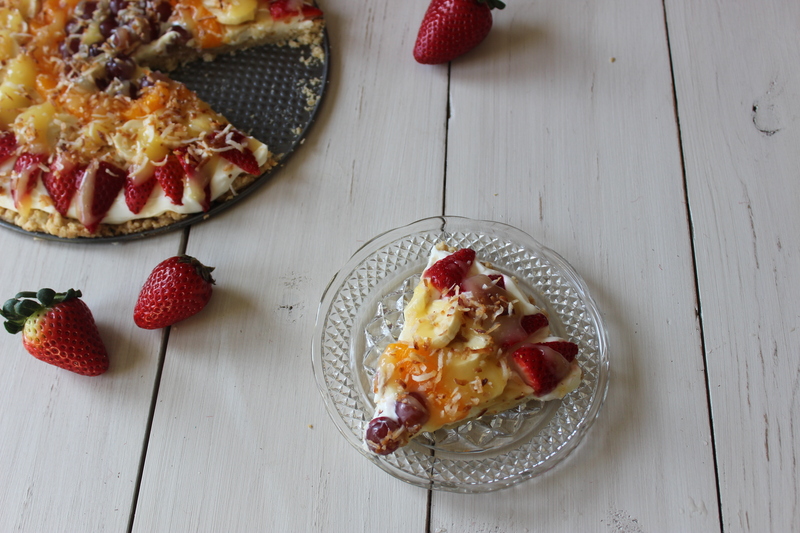 Drizzle the cooled glaze over the fruit and if you (or your husband!) 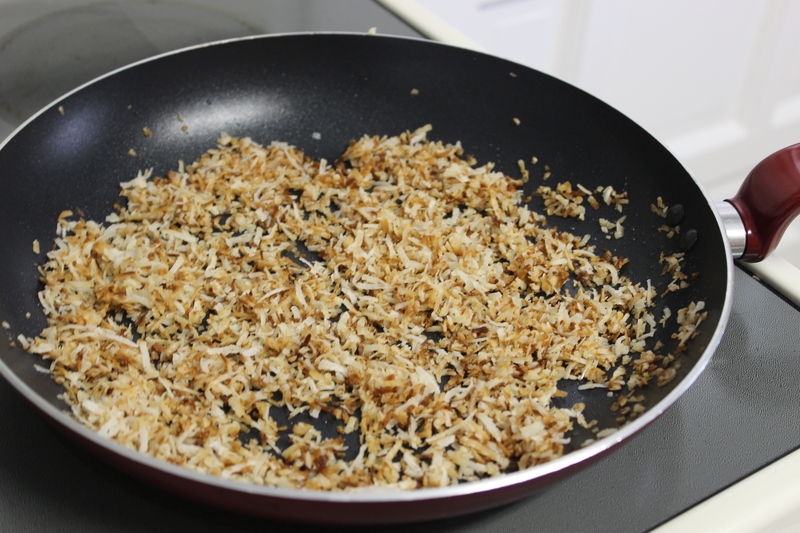 is a coconut loving sweetheart, then go ahead and sprinkle some of that buttery, toasted, goodness right on top! Sit down with a big fork and indulge. I promise your tastebuds will not be disappointed! If there are any leftovers, don’t forget to keep those chilled. Ps. This recipe can very easily be converted into a healthier version. 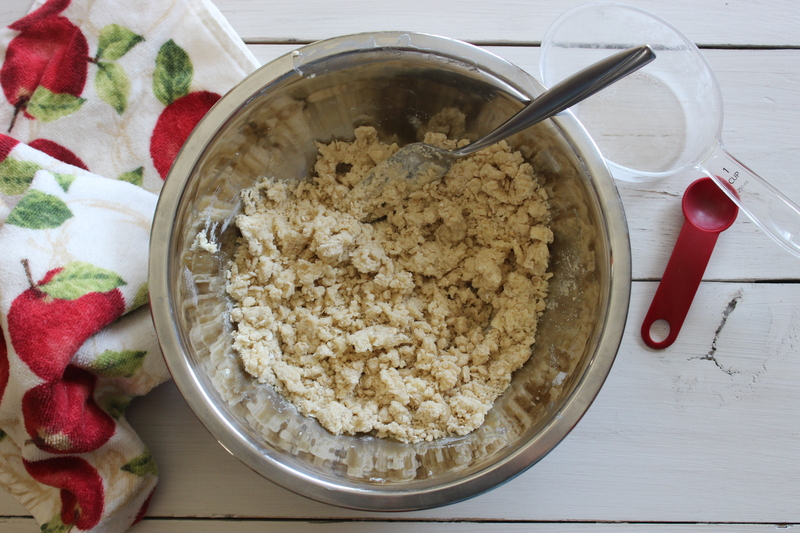 Just replace regular flour with almond flour and the sugars for a healthy sweetener. You know how to do it! 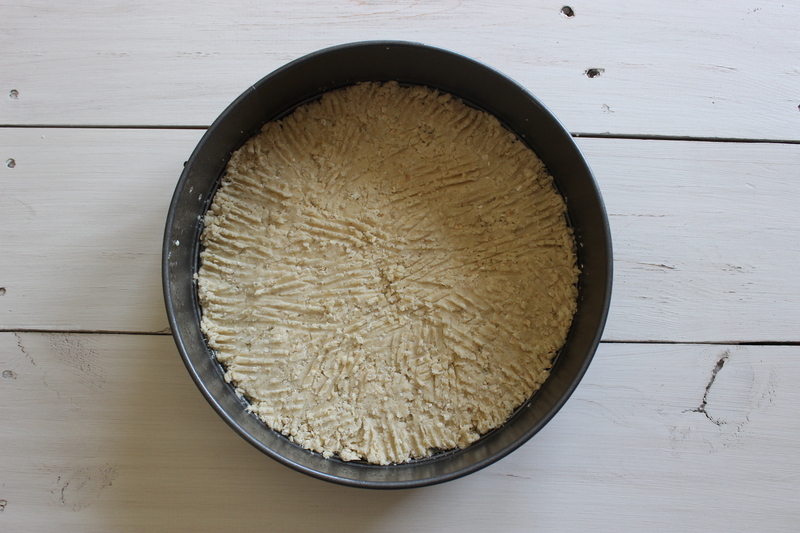 Mix crust ingredients until crumbly. Press onto bottom of greased, round 10 in pan. Bake at 375 degrees for 10-12 minutes or until lightly browned. Mix sugar and cornstarch in small saucepan. Add juices. Cook over medium heat until thickened. Cool. 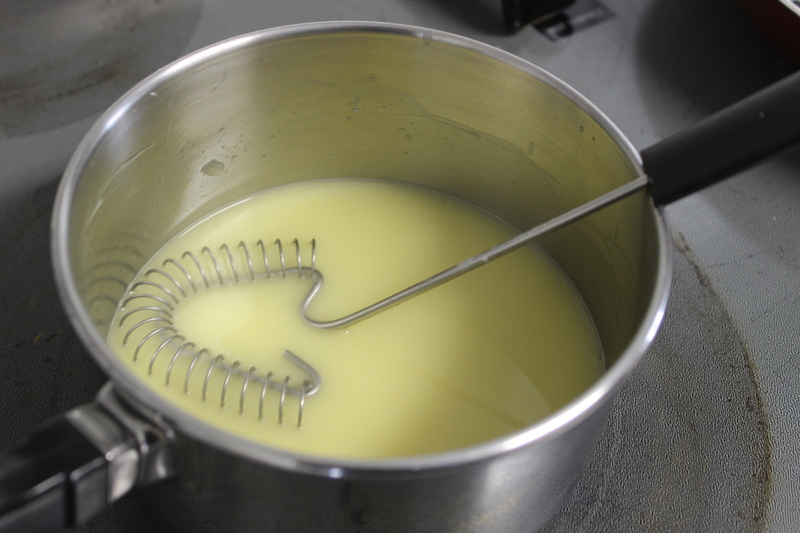 Beat cream cheese in mixing bowl until smooth. Add remaining ingredients and combine. Spread over cooled crust. 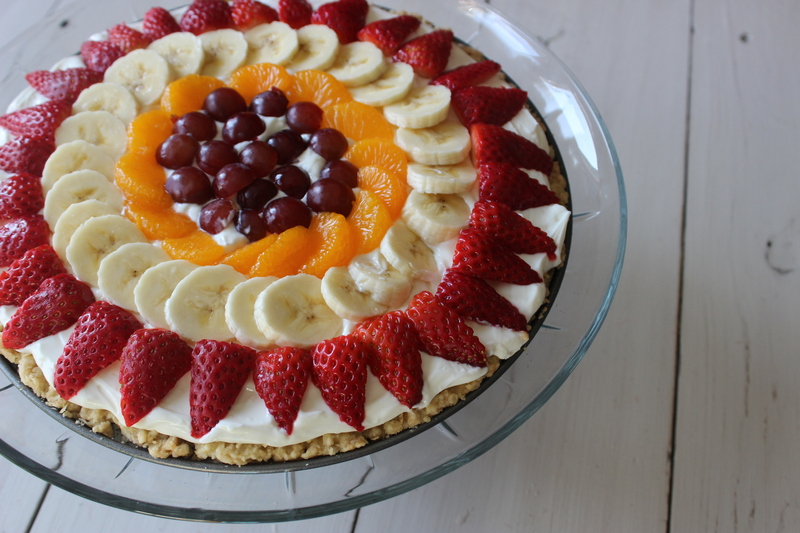 Top filling mixture with sliced fruit such as, strawberries, bananas, grapes, kiwi, mandarin oranges, blueberries, raspberries, the skies the limit! The more fruit the better. 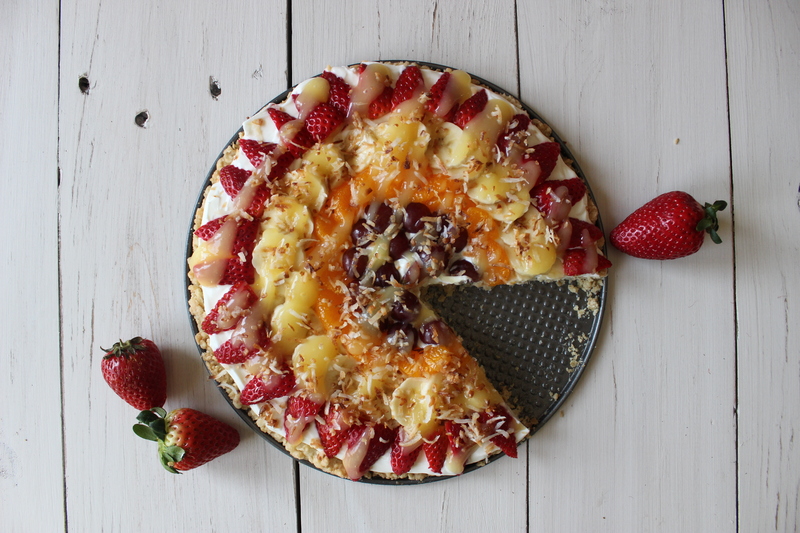 Drizzle glaze over fruit and sprinkle with toasted coconut. Enjoy!